Capri is an island located to the west of the Sorentine peninsular, on the south side of the bay of Naples. 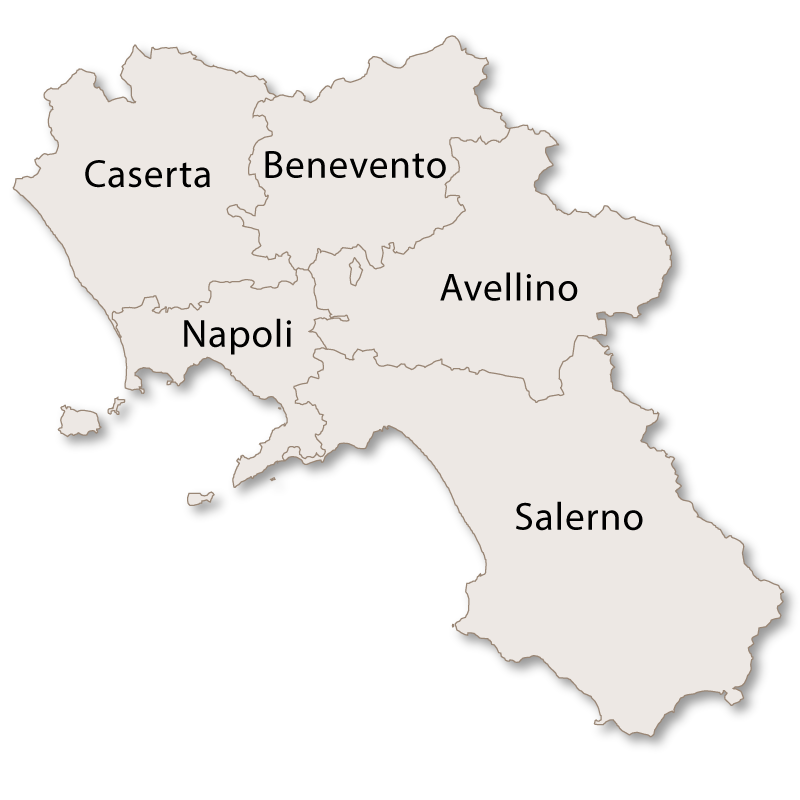 It is a famous holiday destination and has been so since Roman times. 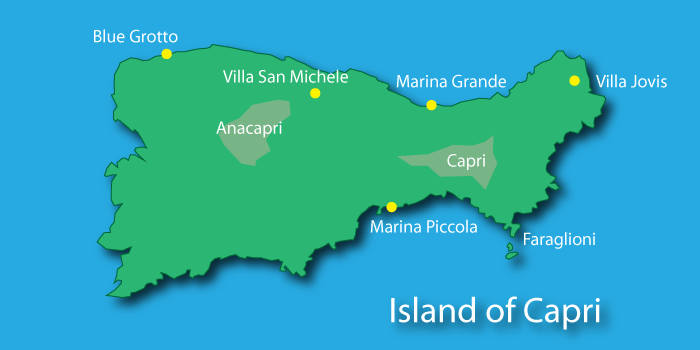 The emperor Augustus developed the island, referring to it as his 'Private Paradise'. 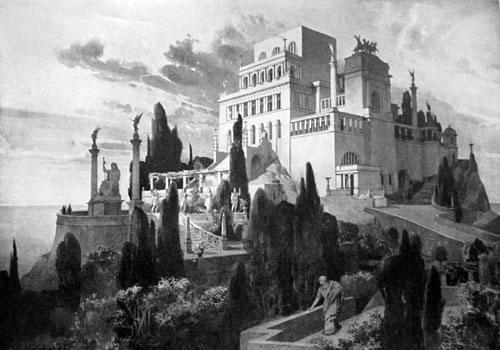 His son, the emperor Tiberius, built a series of villas on the island, including the 'Villa Jovis', one of the best preserved Roman villas in Italy. 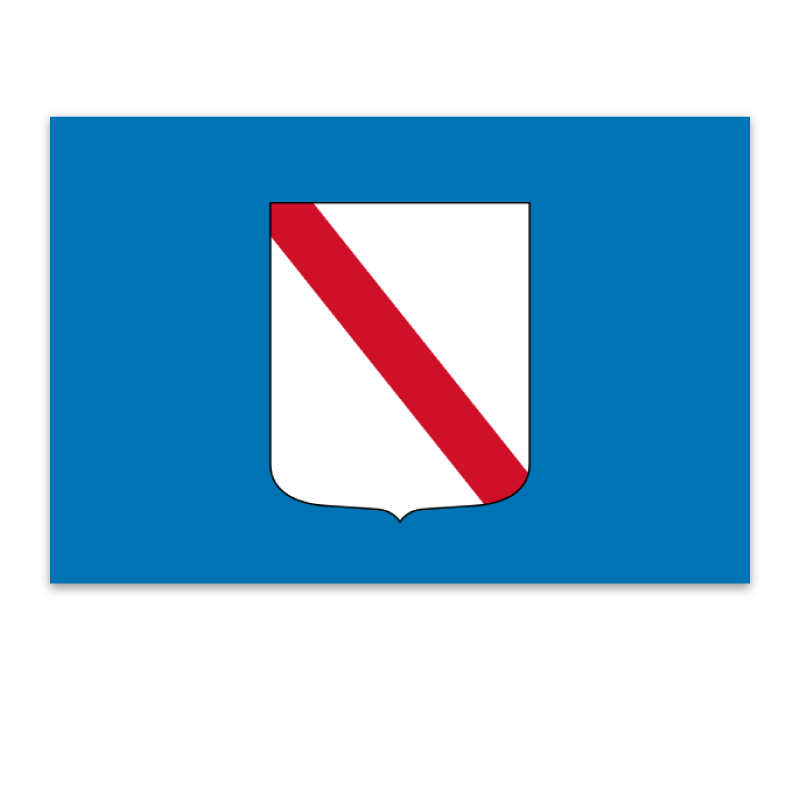 He then moved to Capri permanently, from where he ran the Roman Empire for more than a decade. Tiberius brought his adopted son, Caligula, to stay with him on Capri and it was from here that Caligula eventually returned to Rome as emperor. 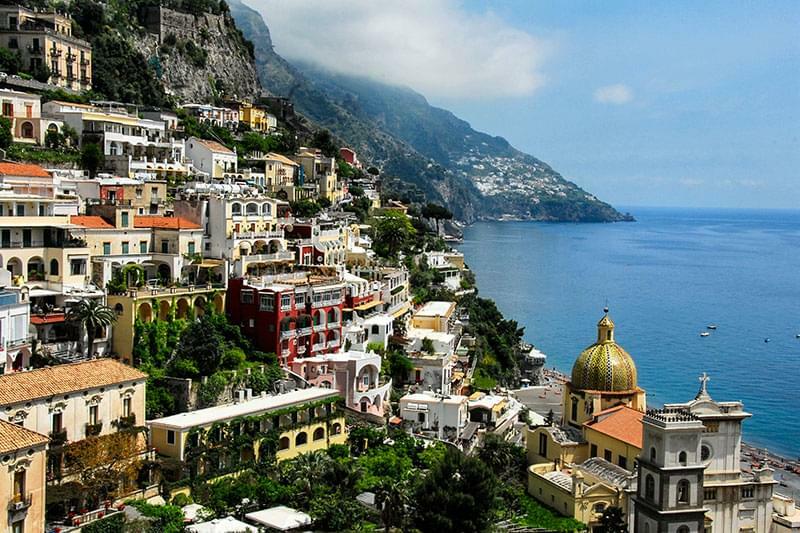 The modern day fascination for Capri was initiated by a German artist and writer, August Kopisch, who wrote a book describing his stay on the island in 1826. A series of writers, musicians, painters and other celebrities followed in his footsteps including: John Singer Sargent, Frank Hyde, Somerset Maugham, Claude Debussy, Graham Greene and Dame Gracie Fields, who had a private villa at Marina Piccola, on the south side of the island. 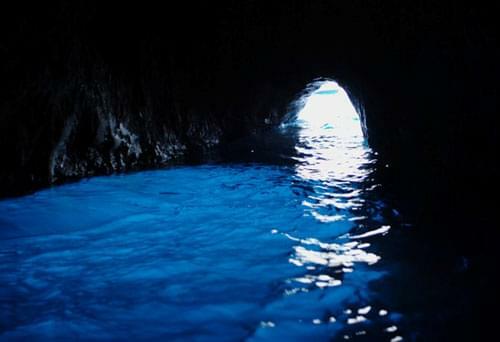 The Blue Grotto is used as the emblem of the island of Capri. It is a sea cave that passes approximately 50 metres into the cliff and is about 150 metres deep.It is illuminated by a brilliant blue light that creates a magical effect in the water. Tiberius visited the cave during his stay on the island and several Roman statues have been recovered from the cave. Visitors can hire rowing boats that will take them inside the cave and allow them to enjoy the experience first hand. 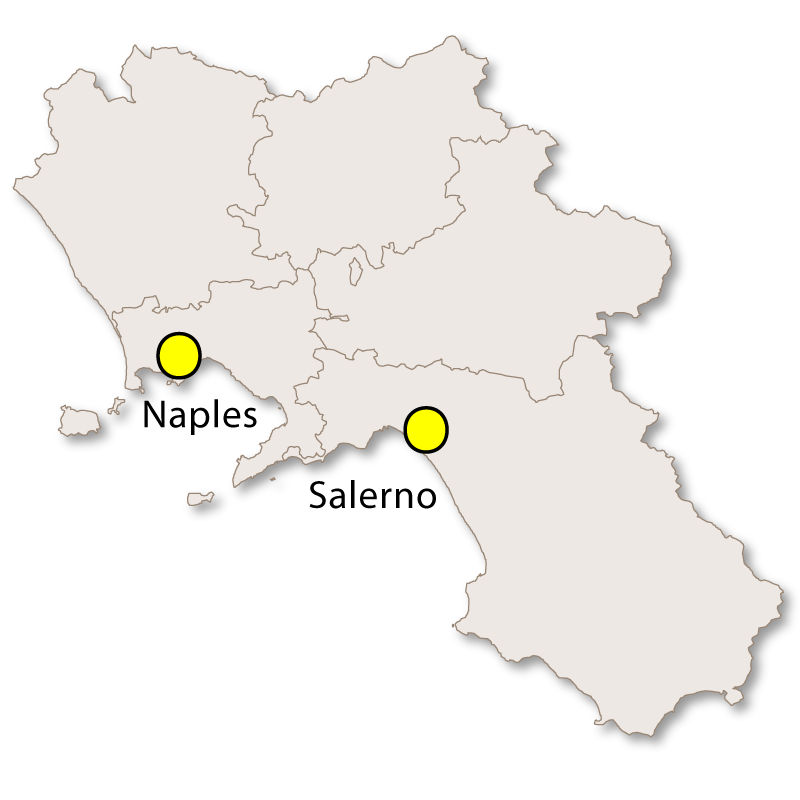 The town of Capri sits in the centre of the eastern part of the island, between Marina Grande and Marina Piccola. Its elevated position provides some spectacular views and the famous 'Piazetta' is a favourite spot for tourists. 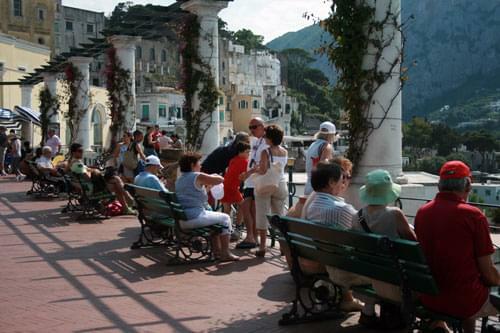 Anacapri is a small town towards the western side of Capri. It is higher than the main town at about 275 metres. It is best known as the location of the stunning 'Villa San Michele', the home of a Swedish doctor by the name of Axel Munthe. 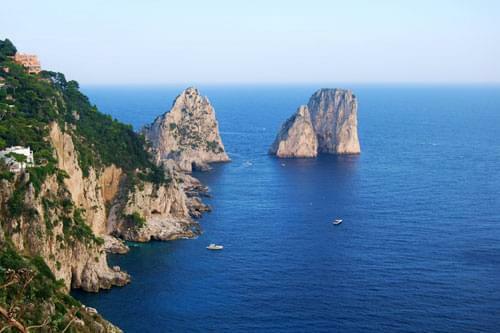 The Faraglioni of Capri are a series of three limestone stacks rising out of the sea close to Marina Piccola. They each have a name. Stella, the first one, and still attached to the island, is the tallest at 109 metres. Mezzo, the second one, is 82 metres high and the third, Scopolo or Fuori, is 106 metres high. 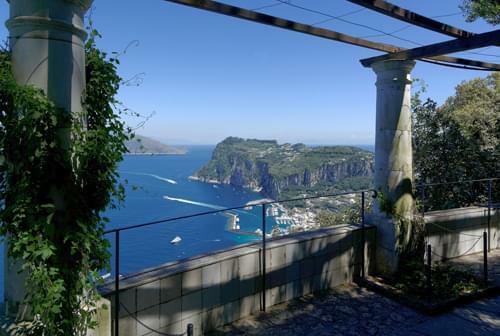 Villa Jovis is the largest of twelve villas built by the emperor Tiberius on Capri. It is located on the top of Mount Tiberius on the northeastern end of the island. The size and scale of the ruins that are visible today indicate what must have been a truly spectacular palace. 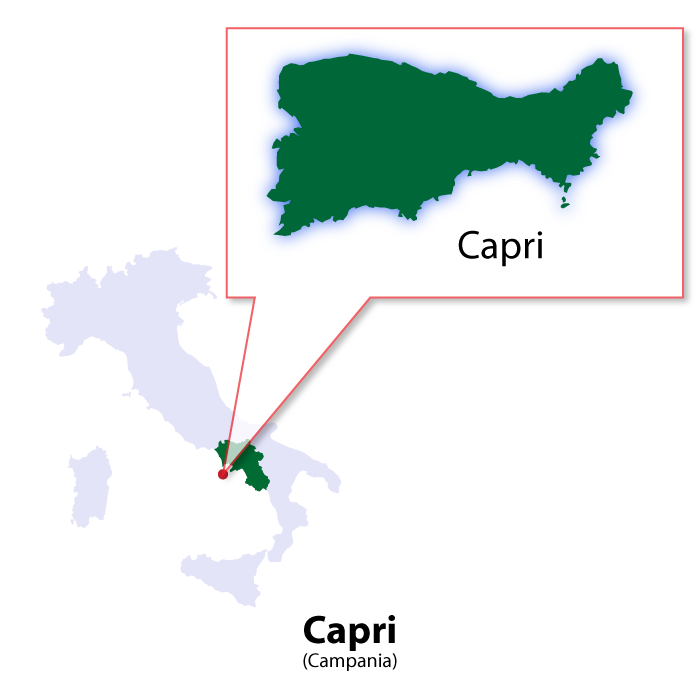 The villa can only be reached by foot and is an uphill climb of about two kilometres from Capri town. 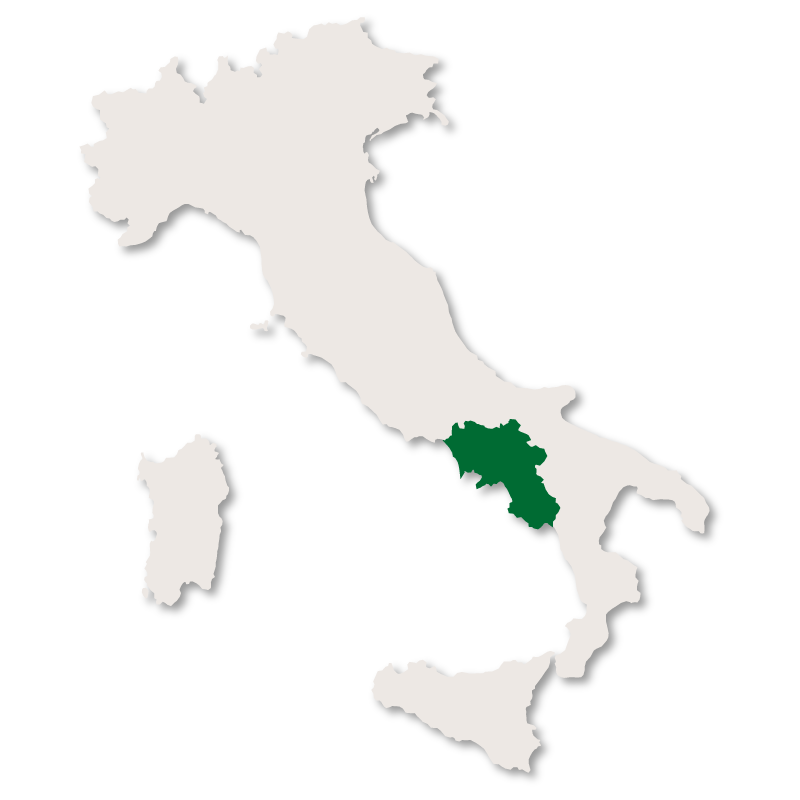 Campania, at your own pace. 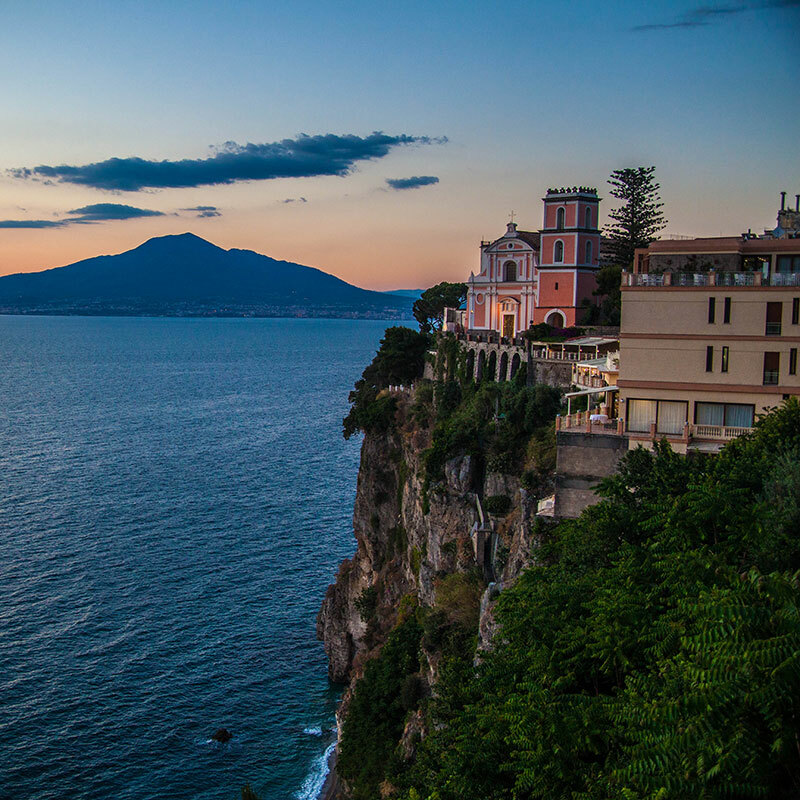 Explore Campania on foot, savouring life’s simple pleasures.